Sku at Sku’s Recent Eats kindly sent me a sample of Ardbeg Corryvreckan to advance my Islay education. 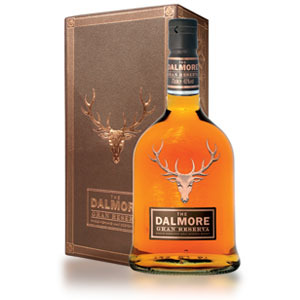 🙂 When I first nosed this dram, I was bowled over by the rich, vibrant, and sour tropical fruit flavors tumbling out of the glass. These “Juicy Fruit” notes meld perfectly with the mild peat smoke notes to create an elegant and mouthwatering aroma. I was shocked – shocked, I tell you – to discover that this dram is bottled at a whopping 57.1% ABV. While not quite as powerful as some higher cask strength whiskies, this one is incredibly smooth, and has very little mouth burn. I had to check several sources online before believing that it was anywhere north of 46% ABV. Nose: Medicinal, seaweedy peat, but not the crushing “Burning blanket” notes I’d expect from Ardbeg. A floral background (unexpected), but difficult to pick out, plus a sharp, sour grapefruit or blood orange right in the front of the nose. Intriguing, as there’s definitely more layers to this that I’m not picking out. A few drops of water make no discernible impact on the aroma. Palate: Sour fruit, pineapple! Surprising burst of fruity upfront, like Juicy Fruit gum. Resolves into delicious well-rounded smoke without too much tar or woodiness. Those sour fruit elements continue right into the finish, resonating with blood orange, lime, maybe some fresh juicy berries. Mild sweetness, and always an overtone of bright, citrusy peat. With a few drops of water, the sweetness is more pronounced, producing a sweetened fruit juice cocktail element. In my opinion, this draws the sweetness of the whisky out of balance with the peat – I prefer it neat. Finish: Long and smoky, leaving you with a bit of tobacco smoke and toasted spices – clove and cinnamon – and a little bitter citrus peel. Corryvreckan is named after “the largest whirlpool in Europe”, which is off the north coast of Islay. There is a lot of associated marketing mumbo-jumbo to go along with this, all of which can safely be ignored. 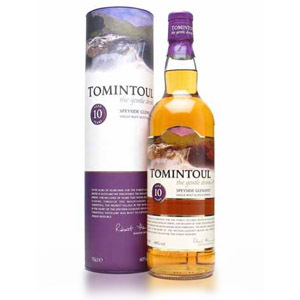 This is a very good dram, despite not having a declared age statement, and well worth the money. At $80-$90 a bottle, it’s a little out of my usual price range, but I will definitely be picking up a bottle of this for a special occasion! Acquired: (30 ml sample) gift from Sku's Recent Eats. I got this recently, and admit I’ve only started drinking scotch about 2 years ago. I’ve been leaning towards peaty scotches lately and I love my Aberlour A’bunadh due to the cask strength. So when I tried this… – WOW – it’s fantastic. Peaty, yet so rich and flavorful. While it’s not my habit to spend this amount normally for scotch , without a doubt – I’m definitely picking up another bottle asap. Now I want to try the Ardbeg 10 & Uigeadail. Any thoughts on those 2 Scotchnoob? Glad you liked the Corryvreckan – it’s a hell of a malt. A lot of people love the Uigeadail, but I wasn’t too impressed. Granted, I only had a tiny pour amid several others, so it may improve upon contemplation. For my money and personal taste, the Corryvreckan is much better. Ardbeg 10 is also a very solid malt, and I would put it somewhere between Laphroaig 10 and Lagavulin 16 in terms of quality. I’ve yet to find an equal scotch around that price. I know friends that don’t want to spend $70-80 a bottle, but never heard any say that it’s overprice by a factor of 2. Sir, what scotch would you recommend at half the price and equal taste? 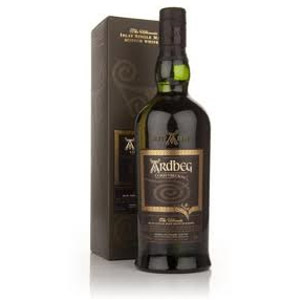 I just had the standard Ardbeg and cannot wait to try this offering once it makes it way to my local liquor store. My experience with Corryvreckan was very much the same. I don’t drink Islays except now and then, not my usual dram, but I got talked into trying this Ardbeg at the bar in a Palo Alto restaurant. Not having the bottle in front of me, I had no clue that it was as high as 57% abv (until I found it on the internet later). The richness behind the peat was a pleasant surprise, and it just got better and better as I nursed the dram. Some whiskys show their full hand in the first sip or two, but this one reveals itself bit by bit. A memorable experience. Gosh I wish it wasn’t so pricy. Agreed. Although I’m generally pretty stingy, Corryvreckan is one of the few whiskies above $50 that I’m happy to pay $80 – $90 for. For my tastes, it’s that good, and that unique in the marketplace. Price in Ontario, Canada $187.95. Forces me to make my purchases in the U.S. and take customs avoidance measures. I found the same thing. My first sips of Corryvreckan last night were underwhelming – I was wondering whether this was nothing more than a cask strength Ardbeg 10 (not a horrible thing to be). But a bit later some subtle notes began to emerge. I’m not sure what my final evaluation of this scotch is, but clearly this is one not to rush. Now a full bottle in (and then some) this has become my absolute favorite scotch. I never fail to be impressed with Corryvreckan, esp. how that dark fruit flavor complements the smoke and peat. I am on-board – this is my favorite Islay. I just bought another bottle because I saw it at a decent price. 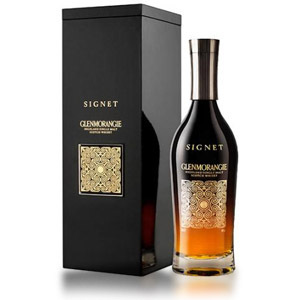 I will tuck it away – incredibly sweet on the palate and the smoke that hits is not a heavy smoke but very present. 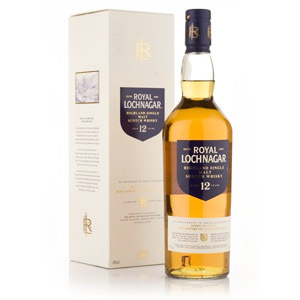 Interestingly, I can pair a Laphroig with grapefruit (at least the Triple Wood) however I cannot do so with the Corryvreckan – it is simply too sweet. What u mean by pair with grapefruit? By “pair” he means “drink while eating”, as in “pair white wine with cheese”. 1. I wonder if those old sherried barrels of pre-closure Ardbeg that were apparently phased out of the (somewhat cheaper) Uigeadail have made it into the rather similar (but more expensive) Corryvreckan? In spite of the lack of an age statement, I can definitely detect some pretty old whisky in here. 2. IMO it’s no coincidence that cask strength bottlings have proliferated as age statements have become increasingly rare. They’re using the additional ABV to mask the harsh notes from the younger whisky. Thanks for the notes, Jamie. Point #2 is possible, certainly, although there are a good number of NAS bottlings at 40% too. 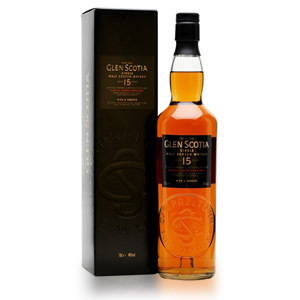 I think (conjecture) that what they’re doing isn’t just arbitrarily dumping younger whisky… I have a feeling they’re cherry-picking the better young casks, so most NAS whiskies are probably a vatting of weak 10-12 year barrels with high-performing 6-9 year barrels. The result is “not quite” as good as the original all-10 or all-12 expressions, but cheaper to make and usually come with a 10% retail discount (or are paired with a 10% increase in the age-stated versions). Again, conjecture.